Linux Operating system or kernel is developed by Linus Torvalds. It is distributed under open source license and it is quite similar to UNIX. 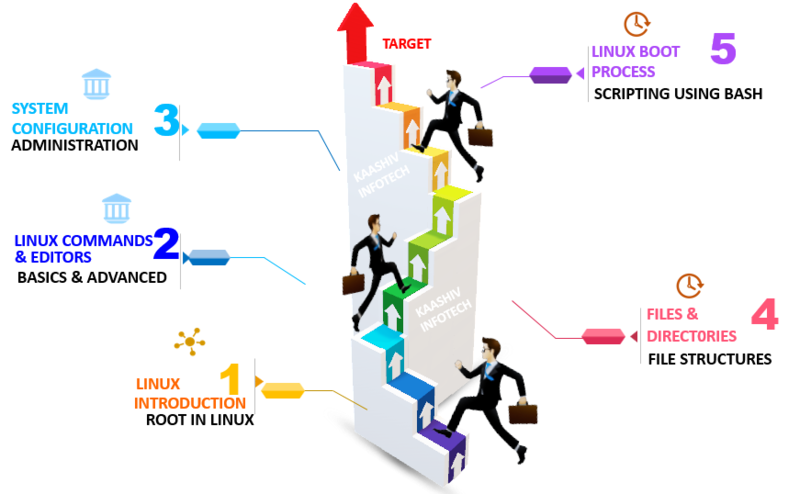 The advantage of Linux is that allows to use Linux Kernel to design on own custom operating system for programmers. Anybody can modify Linux OS with programming knowledge. If you installed Linux, you never need an antivirus which is a highly secure system. Why KaaShiv InfoTech Company to learn Linux Training in Chennai? Kaashiv provides Best Linux Training in Chennai with professional trainers who provide real-time training and also projects to the candidates for better understanding. Why Students Enroll for real time Linux Training in Chennai ? Linux has the highest demand in the IT industry. Linux has excellent variations in the operating system and the OS is used for servers, smartphones, penetration testing, high power machines, etc. Giant companies like Facebook, Google, Amazon, Netflix, Twitter uses Linux Operating System. (Covering 10 Concepts) Linux TCP/IP Network Management. Students undergone Linux training will be expertise in Linux and automation testing + real time Software Implementation. For Linux Training 120 concepts from Basic to Advanced will be covered.